Get two patterns in one and save! 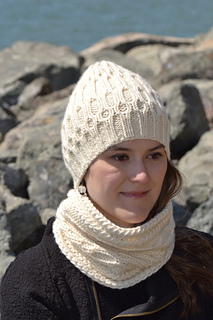 Crossed cable stitch pattern is used for both hat and cowl with modifications to fit for the project. 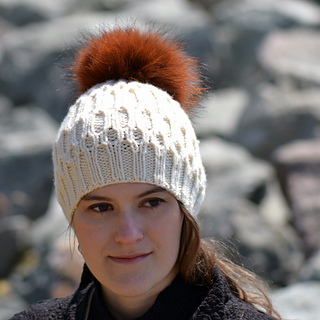 Information on gauge is given for the hat only, but in the pattern itself you have all the information you need. Hat is using 2 to 3 skeins depending on the size and the cowl is using one. 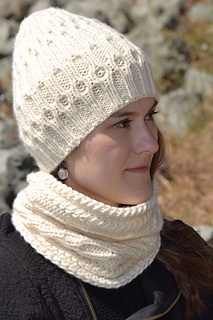 Bulky and soft yarn used for both hat and cowl is a dream to work with. Check with Anzula.com for more colors. 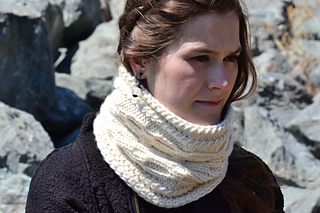 For more information about each pattern refer to Gaufré and Gaufré Cowl pattern pages here on Ravelry.